Andrew Young approached me at the beginning of 2015 with this idea. When we crossed paths at Fan Expo this summer, Andrew and James Green were both excited to make it happen. And now, we are less than a week away! Check out the show promo on the Geek Hard show website or listen to the playback of the episode (285) where we talk up the show and joke around with each other. 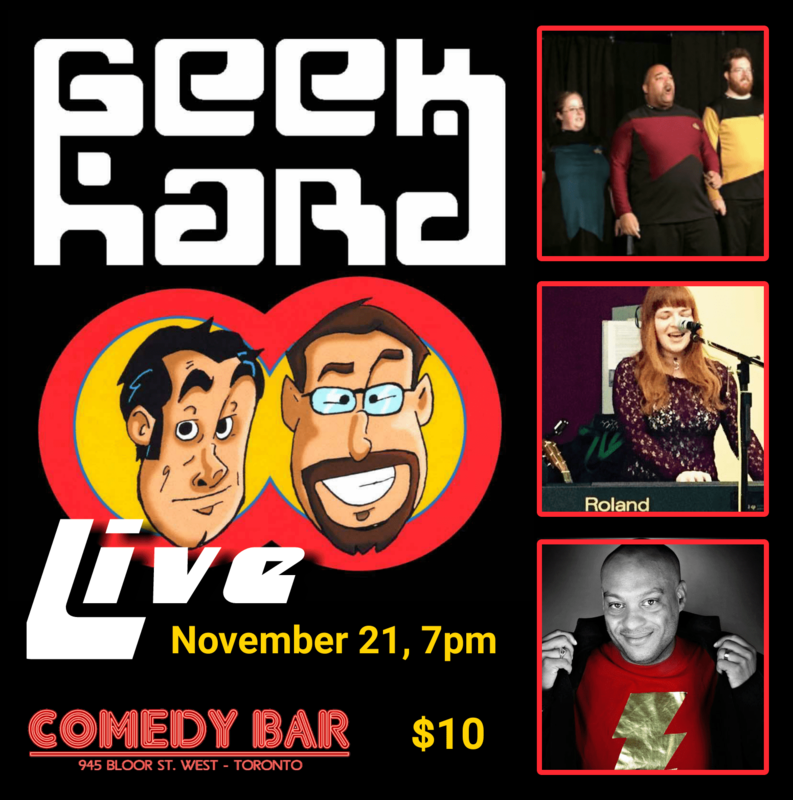 The inaugural live Geek Hard show will start with Holodeck Follies an improvised audience-interactive Star Trek episode with original characters, stories and songs. The Dandies played the Cabaret space of Comedy Bar twice, for the Big City Improv festival (2013, 2012), but we haven’t been on the mainstage as a troupe before. It stands to reason that we will geek hard! Cast: Alan Leightizer, Andie Wells, Brie Watson, Dale Wells, Taz Collins, and MD Jason Zinger.